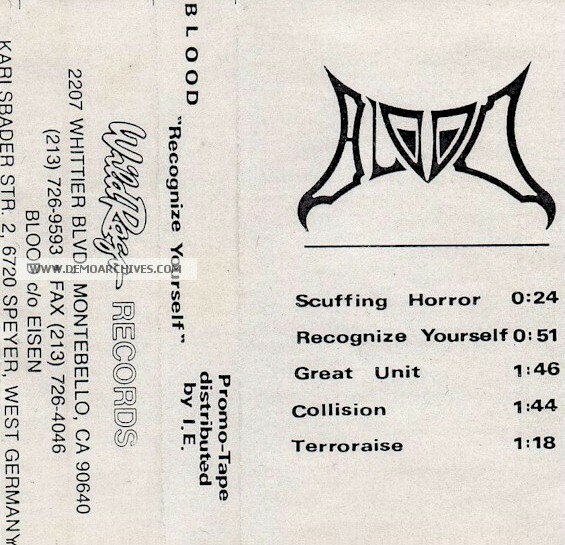 BLOOD was formed by Eisen, Taki, Geier and Radtke in March 1986 as a fun-noise Band. We recorded 3 Demos during this noisy time. In June 1987 VENTILATOR joined BLOOD and the songs got more structure and the music became serious. 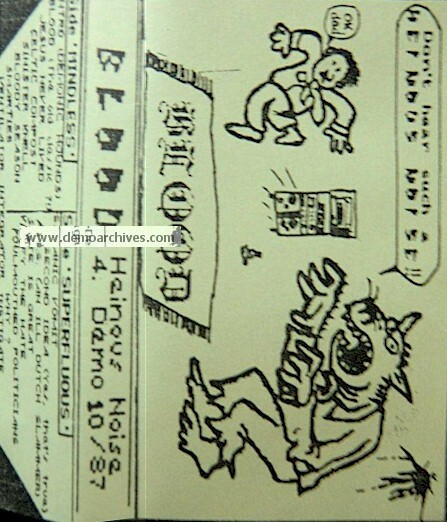 The 4th Demo ´HEINOUS NOISE´ was recorded in Oct.1987, the 5th Demo ´SPASMO PARALYTIC DREAMS´, where Bestial Bernd used the micro in Feb.1988 and the 6th Demo ´NO REGRET´ in Aug. 1988 with Chuck on vocals. After that we found a new Singer called Martin. 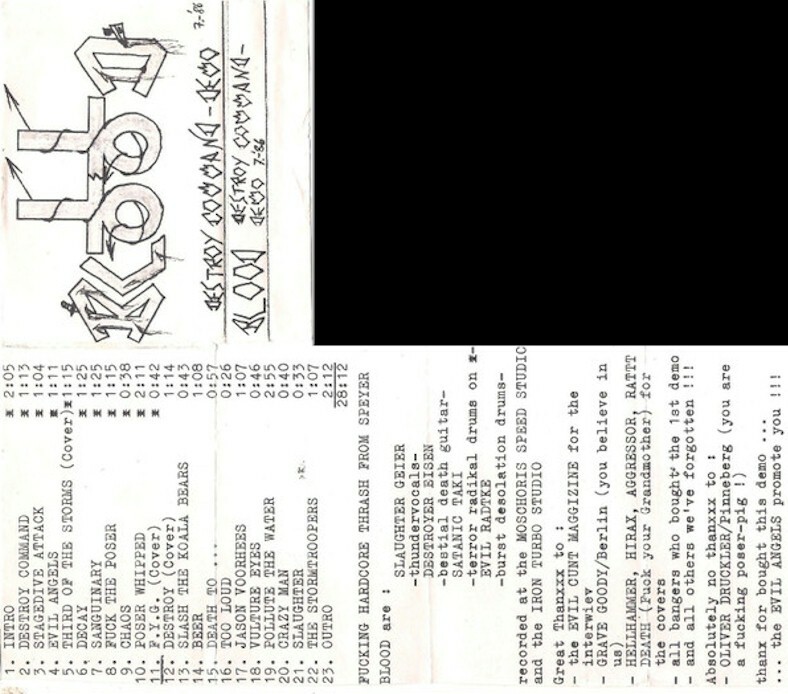 At the beginning of 1989 we got our first record-deal with the US-Label ´WILD RAGS RECORDS´ the release of our debut LP ´IMPULSE TO DESTROY´ was in July 1989. Xerox cover that fold out in a weird shape. Regular tapes. Pro printed cover. Recorded onto crystal clear tapes. Distributed by Injurious Expressions Zine.